We found that this tea (and many other well-made Chinese hong cha or black tea) can be successfully re-steeped at least one additional time. 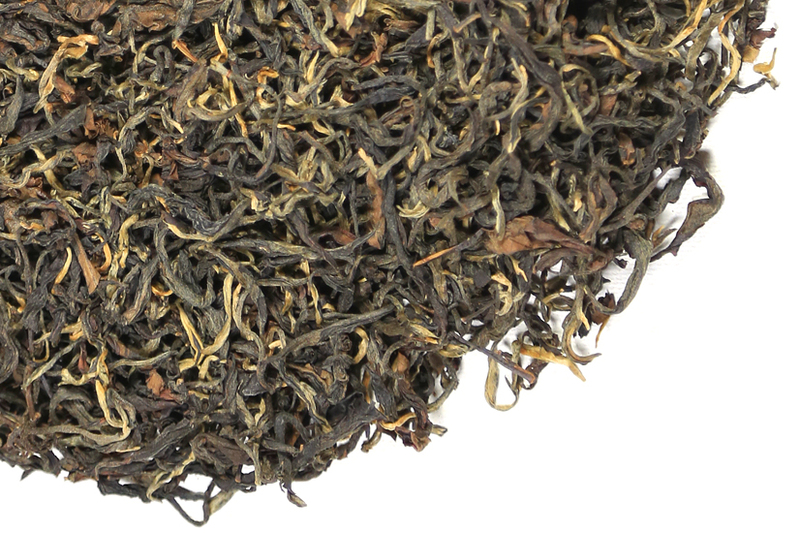 This tea gave us about 80% of the original flavor on a re-steep, which is a pretty high percentage for hong cha. Delicious! Da Xue Shan is near the Mengku tea harvesting area in the Shuangjiang area of Yunnan province. Shuangjiang refers to the double rivers Lancangjiang and Xiaoheijiang which flow beside one another down into the valley. The mountain has long been known as the home of some very old tea plants and some very tasty tea. Botanists and scientists studying the flora of this area estimate that there are 2,000 acres of wild tea trees of varying ages inhabiting the forest areas of this region and old plantation tea bushes growing in small groves around the landscape. 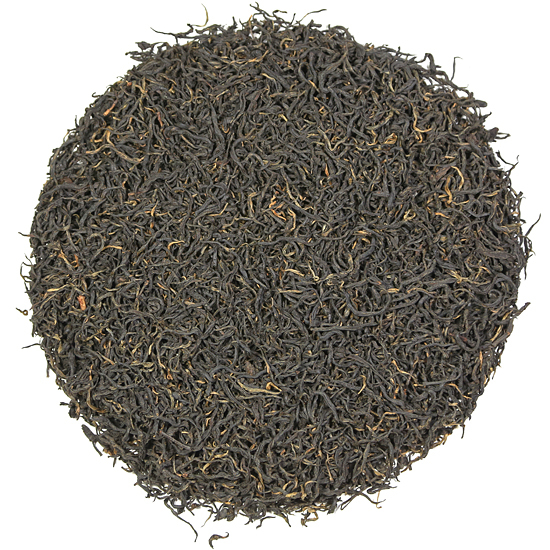 This tea is sweet, and on the first sip has an appealing honey-like aroma. Flavor notes suggest black fig, nuts, dark chocolate and malt, all of which come together to add complexity in the aroma too. 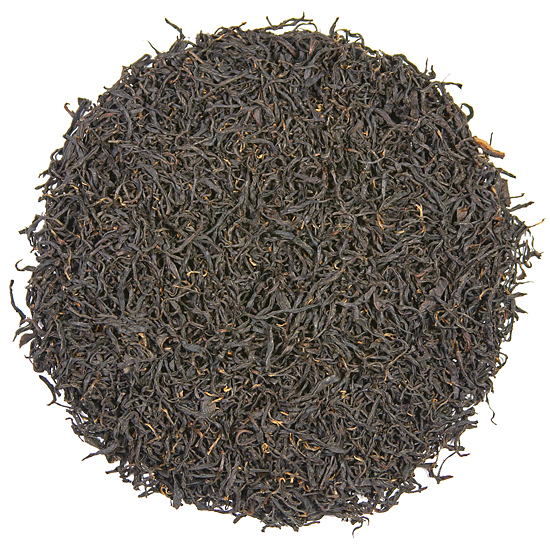 This is a really delicious cup of tea that has a good, rich depth of flavor. 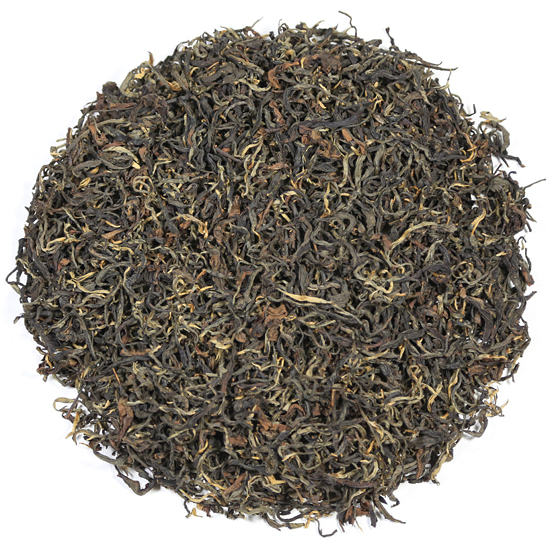 Absolutely no astringency – this tea is sweet and refreshing and compelling.